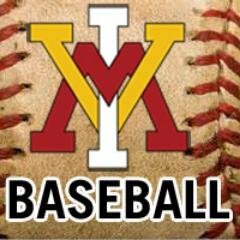 VMI freshman right-hander Zach Sanders pitched five scoreless innings Wednesday afternoon, but the Old Dominion University baseball team scored five late runs and defeated the visiting Keydets 5-0 in non-conference play. Sanders was very efficient in his start, needing just 51 pitches to record 15 outs, allowing only four hits and no walks. ODU finally broke through in the seventh with four runs, two coming off a double by Matt Burch. Noah Cook had two base-hits for the Keydets, while Callen Nuccio also had a hit. Ryan Smoot reached base twice after being hit by a pitch. Kyle Battle had three hits for ODU and four Monarchs combined to strikeout 11 batters and allow just three hits and no walks. VMI was 0-9 with runners on base and 0-5 with runners in scoring position. VMI (2-8) will be home for the first time this season this weekend at Gray-Minor Stadium against Northern Kentucky University. Games are scheduled for Friday (3 p.m.), Saturday (2 p.m.) and Sunday (1 p.m.).